Airbus SE’s decision to shut down the A380 program has been a long time coming, but the blow is more to the European manufacturer’s pride than its pocket. Right now, Boeing Co. is knocking spots off its rival in terms of cash generation and shareholder returns. The capacious A380 – a hit with passengers though not with airlines – made Boeing’s 747 jumbo seem rather diminutive. From 2021, when the production line closes, Airbus will have to give up those bragging rights. Without this symbol of Europe’s industrial might, it will seem more ordinary. Arguably, that’s a good thing. Lessors and owners of A380 investment funds will be unsettled by the decision because it may impact the resale value of the aircraft. Yet for the manufacturer, it’s a logical and necessary step. The A380 isn’t an important source of revenue – accounting for just 2 per cent of the company’s aircraft deliveries in 2018 – and it doesn’t make money. Putting it out of its commercial misery is the kind thing to do. The financial costs of exiting the double-decker program look manageable. Airbus’s full-year profit suffered a net 463 million euro ($522 million) hit from the cancellation, but it expects a neutral impact on free cash flow over the next three years. By announcing the decision now, incoming chief executive Guillaume Faury can focus on more important revenue drivers such as the single-aisle A320 and the widebody A350, which together make up about nine out of 10 Airbus deliveries. 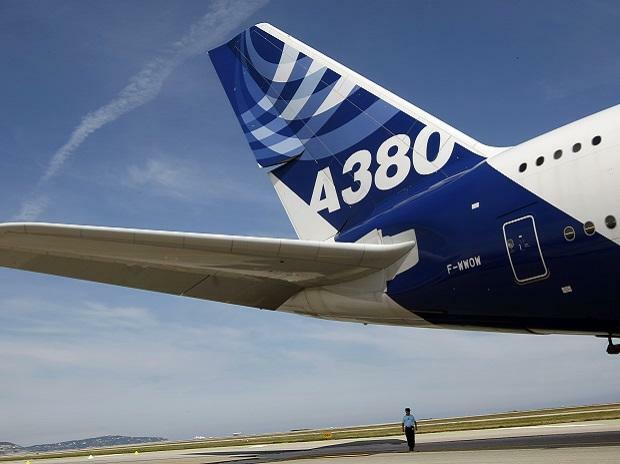 The 5 percent rise in Airbus’s share price on Thursday brought the stock to within touching distance of a record high, suggesting investors too are looking to the future rather than mourning the engineering triumphs of the past. Airbus’s yearly results, also announced on Thursday, show it is gradually overcoming production difficulties that have held back profit and cash flow. The company delivered an impressive 300 aircraft in the last quarter of 2018 (38 percent of the annual total) and that was reflected in the fourth-quarter adjusted operating profit margin at the commercial aircraft division, which reached an impressive 14 percent. Airbus thinks it will break even on the A350 program in 2019, a significant milestone. While it had to book yet another charge on its A400m, the military transporter will probably only burn through 500 million euros of cash in 2019, which is progress of sorts. Including the A380 and A400m charges, Airbus still managed to generate 5 billion euros of operating profit in 2018, which isn’t too shabby. The company is targeting a 15 percent increase in adjusted operating profit and 4 billion euros of free cash flow, a one-third improvement. Of course, this still leaves it some behind Boeing – analysts expect the U.S. group to generate an astonishing $15 billion of free cash flow in 2019. But Europe’s aerospace champion is at least flying in the right direction. Without the A380, it will have less dead weight to carry.